A part of me has always known that loving my neighbor went beyond my physical community, beyond the hills of this Appalachian countryside. But I honestly never knew how to reach that far. My little sponsor child lives an ocean away, in a country I’ve only ever seen in photographs, and suddenly my neighborhood has grown exponentially. Miraculously, so has my heart. I find it ironic that the more love I give away, the more space I find in my heart for love. I imagine that’s how the upside-down economy of Heaven works–giving all you have only to find you have more to give than you ever thought possible. It’s easy to love people who are just like us–people who look like we do or hold similar beliefs or exist in the same tax bracket. It’s easy to love people who are easy to love. But we often overlook the neighbors in our own backyards who need food or clothing. Or we grow so sheltered and close-minded that we forget people with different skin colors and different languages are also our neighbors. And we forget that we don’t have to pick one over the other. We can love them all. We can treat them all with respect and kindness. Christ doesn’t just instruct us to love our neighbors; He tells us to love them as we love ourselves*. Look out for them. Take care of them. Love them. World Malaria Day is April 25th, and the nonprofit organization I sponsor Ann through is currently holding a fundraiser to benefit children and their caregivers in Tanzania. This fundraiser aims to provide medical attention and preventive measures in the face of malaria. For less than half the cost of a monthly sponsorship, you can save a child. Whether you make a one-time donation or choose to donate each month, the impact of your efforts will be tangible. Compassion tells all the details here, including the devastating statistics and what your donation will provide to ensure the safety of a child. A curable, preventable disease is stealing lives. Will you help? Will you love your neighbor? It’s the 1940’s and the Chandlers have turned their large home in Blackberry Springs, Alabama into a boardinghouse. As the rooms fill with unique people harboring deep needs, the story of a local legend begins to unfold. When hard times catch up with Dolly and Si Chandler, will a story from long ago help them recover? And will the broken boarders discover where hurt and healing collide? Side note: this cover is front porch goals. Any avid reader will tell you that on a rare occasion, a story can be written in such a way it feels like coming home to people you’ve never met and a place you’ve never known. I wasn’t expecting it, but this book is that kind of story. Si and Dolly are an older couple trying to make ends meet, so they rent out rooms in their large home. As a result, readers are introduced to a lovely cast of characters that soon feel like family. Luesse throws in a local legend, some intrigue, and a touch of romance just for the fun of it–and what fun it is! Though I loved all of the characters and their stories, I find that Reed is the one sticking with me the most. An injured war vet, he finds it difficult to readjust to civilian life after everything he has seen in the Second World War. I haven’t read many characters attempting to deal with PTSD, but I believe Luesse did an excellent job at trying to convey what that could potentially look like for soldiers who are just trying to find the version of themselves that can exist after such an experience. There are a few strange instances throughout the novel that may not be widely accepted, but overall this book feels like being wrapped in a warm hug. 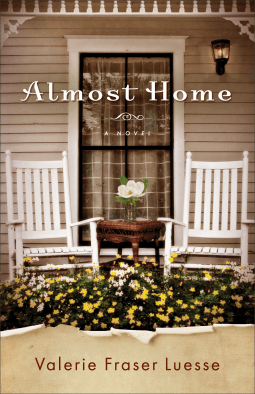 If you’re looking for a cozy, sentimental read that settles slow and stays awhile, Almost Home hits the spot. It releases on March 5th. Purchase: Amazon, Christian Book, or Barnes & Noble. The Curse of Misty Wayfair: A Review. Thea Reed is a woman without a past. The search for her true identity leads the postmortem photographer to Pleasant Valley, Wisconsin at the turn of the century. Thea soon finds herself tangled in the town’s strange secrets including family splits, a mental asylum, and the legend of Misty Wayfair. With so many secrets surrounding her, can she possibly find the key to her past? A century later, Heidi Lane arrives in Pleasant Valley at the request of her declining mother. Upon her arrival, Heidi uncovers more questions than answers about her own identity and what Pleasant Valley could possibly mean to her. When Heidi encounters a mysterious woman in the woods, she’s convinced that she has seen Misty Wayfair. The legend awakens and Heidi is forced to finally find her connection to this town. Y’all, I have not read writing this good in AGES. I’ve read excellent books. I’ve read fiction that has stuck with me like glitter from a preteen beauty pageant. I have never, in all my (limited-but-still-impressive) years, read books like Jaime Jo Wright’s books. They are nothing you expect and all of the right things all at the same time. I’m a brand-spanking-new member of the Jaime Jo Wright fan club, but I am here with bells on and I am here to stay. If the parallel story lines have you feeling a little iffy, know that the alternating perspectives are one of Wright’s most effective storytelling tools. It allows for a slow, suspenseful revelation of information that ultimately displays Wright’s creativity and brilliance. As a reader, I’m satisfied. As a writer, I’m left in awe. Obviously this woman is made of literary magic. And don’t even get me started on the characters. There’s such a depth to Heidi and Thea that you actually ache for them to find what they’re looking for. I instantly fell in love with Rhett, but didn’t discover why until about halfway through the book. He isn’t a talker, but he certainly makes it count when he does speak. I also love Simeon for a million different reasons that I can’t even go into right now because we would be here all day. 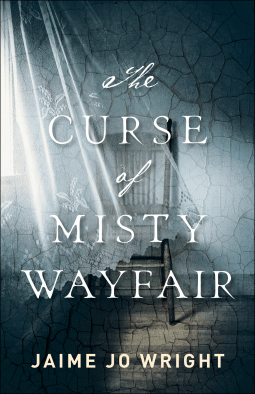 Overall, if you’re into eerie suspense, smart plots, and lovable characters, check out Jaime Jo Wright’s new book “The Curse of Misty Wayfair”. It officially releases on January 22nd, so preorder your copy today! This is one you won’t want to miss. I gather the year in my hands, my head hanging in shame. This was supposed to be my year of surrender. Hadn’t the Father asked that of me? I can’t see surrender in the messy pile before me. He will be so disappointed. I bring the year before Him, my heart pounding in my chest. He’ll see. He’ll know that I’ve failed Him. I can’t take His disappointment, so I stare at my shoes. It comes as no shock that they are as unimpressive as the mess I’ve brought God. Will I ever be the right things? “Courtney.” His voice is warm and kind and loving. I can’t bare to think about how it will change once He knows I’ve let Him down. My anxious heart breaks at the thought. The tears fall freely again and I can’t help but ask Him to verify. “So You still love me? The Reluctant Warrior: A Review. Gwen Harkness loves the young boy and girl that have seemingly fallen into her care, but Cameron Scott loves them, too. They are, after all, his daughter and nephew. He has more right to them than some stranger, no matter how attached the children may be. But Cameron is an army officer, used to barking orders and demanding respect. Though that technique worked on the battlefield, it doesn’t translate well to the young children he is trying to impress. How can he make them comfortable enough to come home to him? And how can he rip them from the nurturing heart of Gwen? When the entire crew gets attacked, by weather and by humans, Cam and Gwen are forced to make peace despite their different desires for the children. In the midst of such chaos, the two find that they truly can help one another. In fact, maybe they are exactly what each other needs. First of all, can we discuss this cover?! I know you’re not supposed to judge a book by it’s cover, but I do and I did and I will continue to do so (my bad). The lighting and the scenery of this one is absolutely gorgeous. This was my first Mary Connealy novel, but it definitely won’t be my last. Though her voice is slightly different from my usual favorites, I’ve discovered that Connealy brings so much to the table. Y’all know that I’m a sucker for heart AND humor, and Connealy delivers in this newest offering. I was invested in each of the characters by the end of the book, even the stubborn and bless-his-heart clueless Cameron. If you’re looking for a quick and fun read, this book is exactly what you need. Even though it is the second in the High Sierra Sweethearts series, it can be read and understood without the context of the first novel. However, I will say that the history of certain characters and the reasoning behind some of their choices may have made more sense had I been acquainted with the first book. Overall, I really enjoyed it! The chemistry between the main characters was a slow build into a sweet situation, and though I don’t always appreciate that approach, it worked for this one. It felt very true to Cam and Gwen’s personalities. The Reluctant Warrior is a beauty and it releases TODAY, so don’t take my word for it. Go get your own copy and read for yourself! 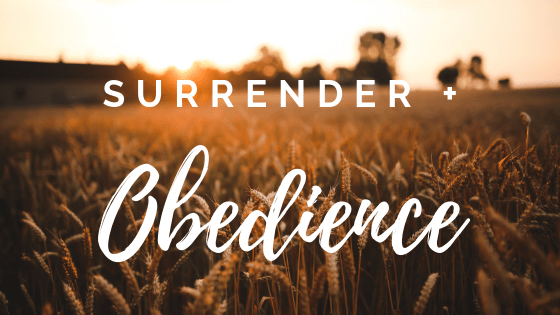 A few years ago, I struggled with believing that God was listening. It seemed like I was begging for answers, begging for movement, and all I was receiving was nothing. He had given me this grand direction to stand still and then He had left me in silence to seemingly fend for myself. I was angry and frantic, wondering if this God that I had put the whole of my future into had turned out to be like nearly every other person in my life during that season: temporary. Impermanent. Incapable of staying. I fought hard to keep my head above water, but the fear even filtered into my dreams. One night I had a dream that rattled me to the core. In my dream, a man grew angry with me and tried to physically hurt me. I began praying with everything I could muster. At first, he fell to his knees and began clawing at my clothing as if my prayers were hurting him. After a few moments, it became evident that nothing was going to change. My heart broke. I sobbed and the man laughed as we realized the same thing–I had been abandoned. God wasn’t going to show up. It still sends chills down my spine to think about how obvious and direct those words were. I woke up and realized that if the enemy was trying to make his point even while I was asleep, he meant business. I needed to mean business, too. Having that visual of how many prayers God was answering changed my life. I couldn’t believe He was ignoring me anymore. I could no longer believe that He had left me to fend for myself. I didn’t understand why He was being silent in direction, but I knew without a doubt that He was active in my life. I had papers upon papers full of answers, full of proof that He was showing up. He was listening. Because listing answered prayers has been so instrumental in my faith journey, I want to encourage someone else to start. For the next thirty-one days, I will be posting an answered prayer daily on my social media using the hashtag #31AnsweredPrayers. Follow along. Count your own answered prayers and join me in sharing them using the hashtag. If you just need reassurance that He is still here, count with us. If you’re fighting what feels like the fight of your life and you need evidence that He hasn’t left you, count with us. No answered prayer is too big or too small. It is the most blessed assurance I have that God, in fact, hears me when I’m sleeping and when I’m awake. He’s still here. He’s still listening, friends. See for yourself. Somebody somewhere once gave the advice to write from the middle–skip the intro and get to the guts of the thing. If that’s the case, let me say this: I am heartbroken. My newsfeed is filling up with obituaries and GoFundMe pages. My mind is filling up with names and faces of people I’ve never met, but wish I knew. In my own life, there are individuals who are struggling to hold on even though they love deeply and know how dearly loved they are in return. If you’re struggling and considering taking your own life, please stay. I know, if you’ve made that decision, very little will change your mind. I know the voices are loud and persuasive. I know there doesn’t seem to be another answer. You aren’t a burden. You aren’t too much. There are so many sunsets that are meant to be seen by your gorgeous eyes and I pray, from the depth of my soul, that you choose not to miss them. You are so much more than this moment, than this season. Every beat of your heart is precious. Every breath from your chest is extraordinary. Please stay. No one can draw, read, write, sing, build, laugh, smile, cook, or love like you can. Please stay. You cannot be replaced. It isn’t possible. You’re the only you we are ever going to get; losing you will shift the entire universe for your people. Please stay. You are loved by a God who wants, so desperately, to know you. Please, please, please stay. Hold on. Reach out. Stay. More Than Meets the Eye: A Review. Logan Fowler is looking for justice. He left Pecan Gap, Texas as a grieving boy, but he returns as a man determined to right the wrongs against his family. The only problem? Seeking justice is much easier than finding it, especially when a beautiful woman stands in the way. As an orphan, Evangeline Hamilton knows a thing or two about loss and loneliness. Her peculiar eyes–one brown, one blue–often make her the center of unwanted attention. Aside from a few brave townspeople, she is only close to her brothers Zach and Seth. So when Logan arrives in town and offers friendship rather than fear, Evangeline is pleasantly surprised. But how can friendship, and possibly more, exist between them when Logan is keeping so many secrets? I have a Karen Witemeyer addiction and I don’t care who knows it. As a writer, I commend anyone who can string thousands of words together coherently. Whether I enjoy the final product or not, I have nothing but respect for authors with new releases. It takes so much heart and hard work to tell the stories in their heads. My respect for Witemeyer exponentially grows from that point, however, because of her consistent ability to create quality works of fiction. As a reader, dialogue is an aspect that can make or break a reading experience for me. I cannot tell you how many books I have put down simply because the dialogue felt awkward and unrealistic. It’s easy, especially in more tender scenes, for interactions between characters to become cheesy and uncomfortable for the reader. Witemeyer’s dialogue never feels out of place and she continues that trend in her newest release. Authentic interactions create space for even more believable characters. Though they are quirky and endearing, Logan and the entire Hamilton clan, as well as some surprising additions, are just as flawed and human as the rest of us. Exposing their humanity against the backdrop of a well-written plot seems to be one of Witemeyer’s many creative gifts. If you enjoy historical romance with a touch of humor and a whole lot of heart, be sure to check out Karen Witemeyer’s newest release. More Than Meets the Eye is an absolute showstopper with the offerings of every great inspirational romance: an honorable hero, a kind heroine, and a faithful God to see them through every nail-biting moment of suspense. She sits alone as people crowd in around her. She doesn’t look everywhere and smile nervously. In fact, she rarely smiles at all. She simply stares straight ahead, eating her popcorn like the rest of the world could burn around her and she wouldn’t bother to move for it. I recognize the look. Fear makes me wear it often when I am alone in situations that make me feel uncomfortable. I’m a friendly person. I’ll chat it up with anyone who doesn’t give me weird vibes (and even then I usually talk more than I probably should). But when I am alone, surrounded by people who know each other but don’t know me, I do everything I can to fade into the background. I know that feeling, so I recognize the look. I bet she doesn’t know how brave she is, sitting alone in a crowded auditorium. I bet she doesn’t realize that it was courageous for her to buy a ticket and walk through the door knowing that nobody familiar would be waiting for her. I bet she doesn’t see bravery when she looks in the mirror, but I see it now as I catch her eye across the room. I politely smile and for a brief, brave moment, she smiles back. Another woman stands in front of me at intermission as we wait in line for the restroom. She’s incredibly nice and we have giggled at the awkwardness of holding the bathroom door open for a seemingly endless line of people. We approach the mirrors on the right and I watch as she suddenly shuts down. I notice her gaze ricocheting between the floor and the mirror. She pulls and tugs on her dress until she finally faces forward with a smile, intentionally avoiding the chunk of glass on the wall trying to tell her she doesn’t measure up. I bet she doesn’t know how beautiful she is, how the kindness of her heart will make her more appealing than the clothing ever will. I bet she doesn’t realize she is absolutely adored by a Heavenly Father who took the time to lovingly create every nook and cranny of the body she is trying to hide from. I bet she doesn’t see her beauty when she looks in the mirror, but I see it now as she patiently smiles at every single person she passes. Behind her, I silently pray that God would let her know it to the tips of her soul–she is loved and cherished and so very precious to Him. I’m sitting in bed, thinking about the different people I encountered that night. Thinking about how easy it is to see qualities of worth in others, but so difficult to see them in ourselves. I’ve just spent a summer wrestling with anxiety. It was crippling and exhausting. I didn’t see bravery when I looked in the mirror. I didn’t see beauty. I didn’t see freedom or redemption. All I saw in my reflection was a lost young woman who needed to figure out everything quickly. I craved control while lacking the motivation to do anything with it. I needed purpose, but struggled to ask for it. I was a hot hallelujah of a mess, y’all. I’m certainly less anxious; I’ve just realized that there’s a whole lot that is broken in this heart, in this soul. But I’m trusting that God will fix me or He’ll shine through the broken places and use the pieces for a beautiful purpose. Maybe you can’t see how brave you are. Maybe you don’t see beauty in the mirror. Maybe you’re tracing over the scars of old wounds and you have yet to discover the mark of His healing hand. You don’t see freedom. You don’t feel redeemed. Ask God to show you. Ask Him to open your eyes. I know it sounds so incredibly simple, but most of these things are. Throw yourself into His Word. On my own, I could see nothing. With God, I see traces of courage and beauty. I see flecks of freedom. I see threads of redemption weaving in and out of my story. He is the ink and the pen and the words. He is the beginning and the end and every good thing in between. I am a mess, but I am loved by the Messiah. May my story, and my life, reflect that truth above all.